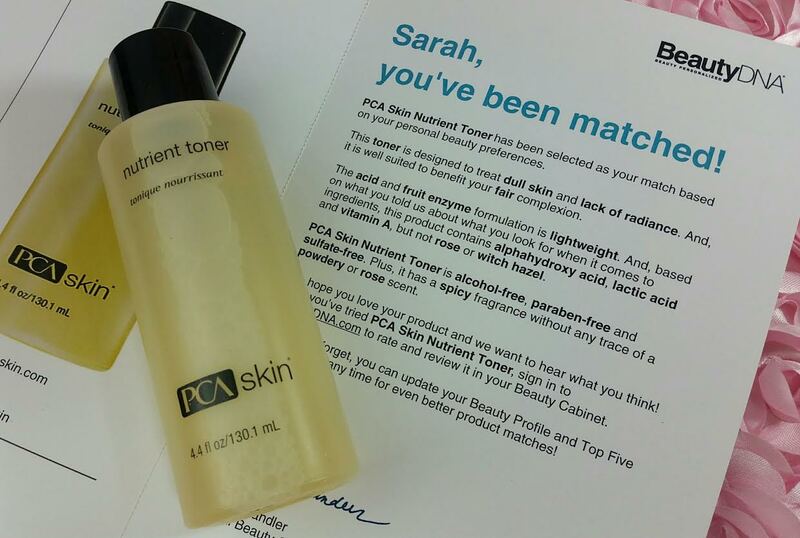 PCA Skin Nutrient Toner- I've never heard of this brand but that's not unusual since BeautyDNA sends some brands that are sold mainly in spas or clinics. This was chosen for me because it helps with dull skin. I don't have dull skin but I don't want it either. I use an AHA to make sure that never happens. This toner also has AHA's which is great! However, it says that it doesn't have alcohol in it (I avoid alcohol because of my dry skin) and it does. Granted it's the last ingredient and it's not staying on my face for ages (like a sheet mask) so it probably is negligible. I also find it a little strange that a toner would include Clove, Cinnamon and Ginger Root oils when all three are considered an irritant. Especially for sensitive skin. They do have astringent properties and can be beneficial in very diluted amounts but I can't decide if I should be safe rather than sorry. Hm. Decisions! Ingredients: Water/Aqua/Eau, Lactobacillus/Pumpkin Ferment Extract, Sucrose, Lactic Acid, Propylene Glycol, Citric Acid, Glutathione, Aminoguanidine, HCL, Yeast, Eugenia Caryophyllus (Clove) Leaf Oil, Cinnamomum Cassia Leaf Oil, Zingiber Officinale (Ginger) Root Oil, Alcohol Denat. 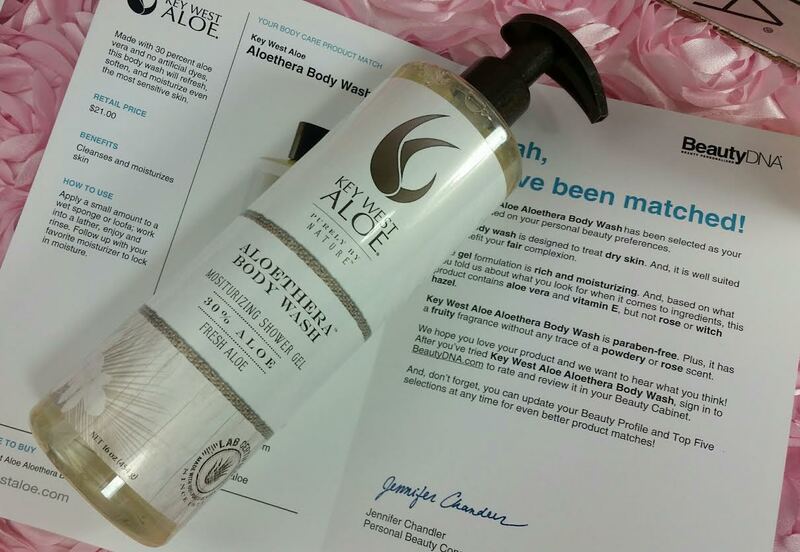 Key West Aloe Aloethera Body Wash- If you follow my blog at all, you know I'm a big fan of aloe in my skincare. It just has so many naturally beneficial qualities, I can't resist it. This body wash is 30% aloe and is designed for dry skin. Ohai! That's me! This smells great, is paraben free and contains vitamin E. The best part, though, is all that aloe with it's moisturizing, anti-inflammatory, anti-microbial goodness. Gimme! Good thing it's HUGE! It'll last awhile. VERDICT: I always love it when I get two products because it doesn't always happen. I'm pretty happy with the body wash, I have to admit! The toner... I don't knowwww! I'll just have to try it and find out how it does with my skin. I generally like a moisturizing toner rather than an astringent one but the pumpkin ferment filtrate could be fab. Decisions! While this month wasn't probably the best value for me, I did get a rockin' deal when I signed up so I'm still waaay ahead on this. I also love what they're doing and think they do a pretty good job of lining up excellent products each month. 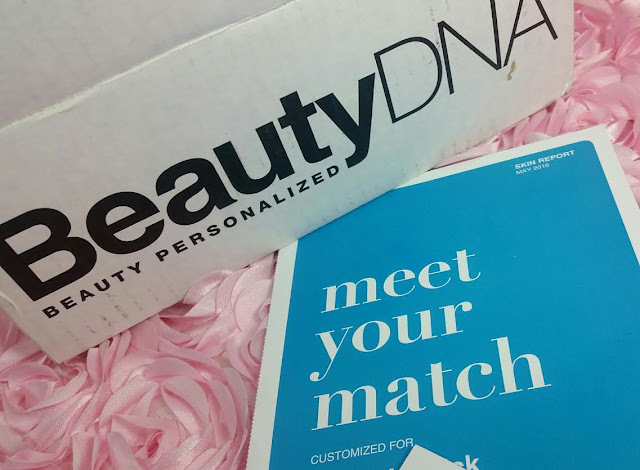 If you'd like to sign up for BeautyDNA, you can do that here! That link will give you $10 off your first month or you can use code ECBOGO to get your second month free. I think that code is still working. There is a lot of... creative license used in some product descriptions, that is for sure! Ive decided to use the toner so I'll take notes and put up a review. This brand has me curious!